Business plans are important for all businesses, not just startups. 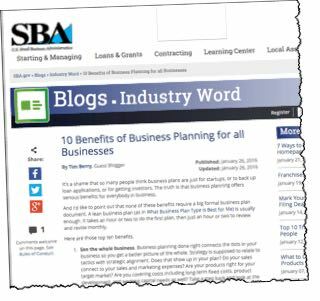 Here are 10 benefits of business planning for all businesses. That is really interesting that business planning can help you catch new developments and adjust. Something I have been thinking about lately is starting an online business. It has been something that seems to do well for others, and I want to find the opportunities. I like how you said that business planning helps you keep track of the important stuff. That seems like a really important thing to do because it would allow you to progress more. Focusing on the necessary and essential would really mean that you could do more and accomplish more it seems to me. 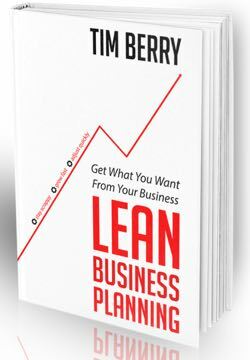 I think one great benefit of developing/using Business Plans is that it will give you the chance of training your mindset and exercise the forrest-tree approach. One of the key elements of the BP is to drill down from the overall defined strategy, down to the critical success factors and define metrics to achieve them. As you gain experience, this way of thinking will become more and more embedded and I honestly believe it will help you be a more analytical person i.e. be able to better build BP’s. That is obviously my opinion, some people might argue. Thanks Karen, and I hope you emphasize the “coach” element in your practice, so that your clients always understand that it’s something they do, with you helping. Check out this one: https://timberry.bplans.com/2007/07/my-worst-ever-b.html (still very valid today).